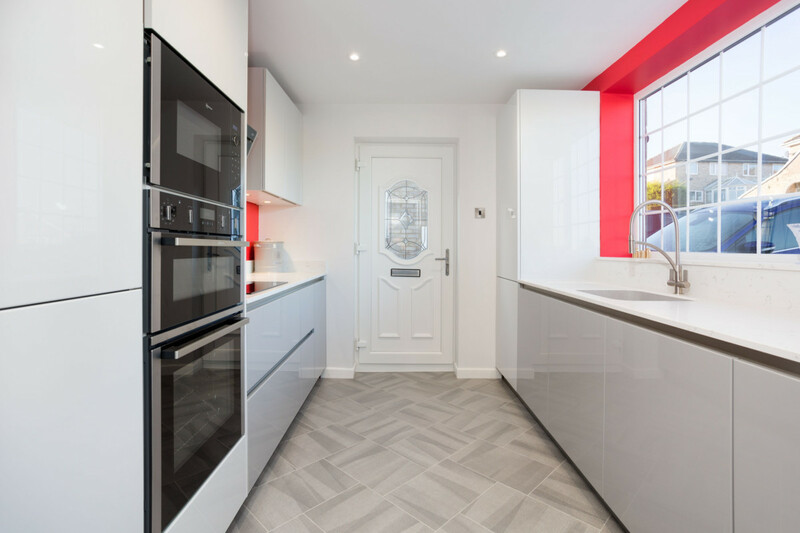 A kitchen that utilises the space perfectly, opting for a contrast in colours between Gala- Crystal Grey and Gala- Stone Grey, both with a gloss finish. 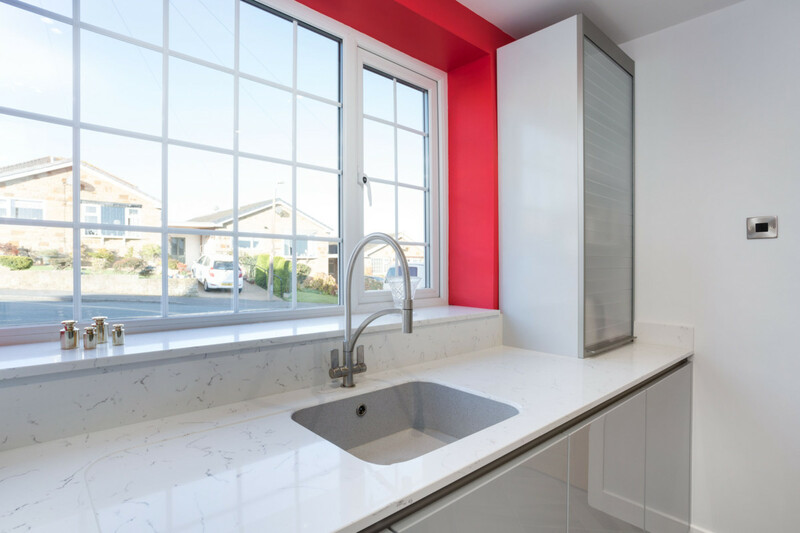 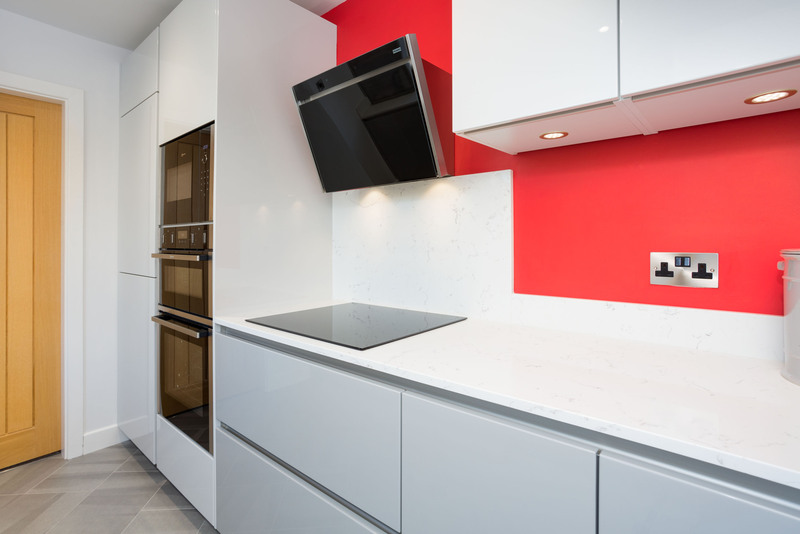 They chose Cliveden- Attico quartz worktops along with a integrated sink in a contrasting Aluminio Nube, along with a Franke- Wave stainless steel tap, to finish off the kitchen! 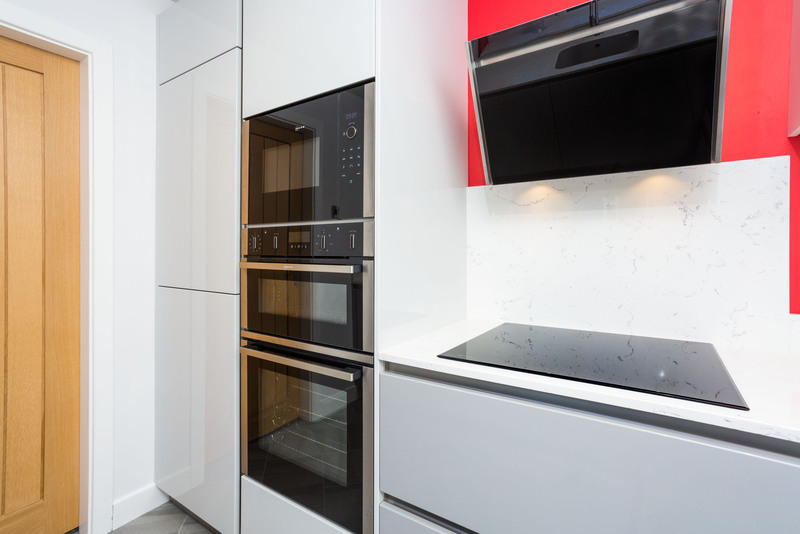 They decided on a mixture of Neff and Siemens appliances, including the new Neff N50 Double oven, one of the only double ovens to give you the option of pyroltic cleaning!